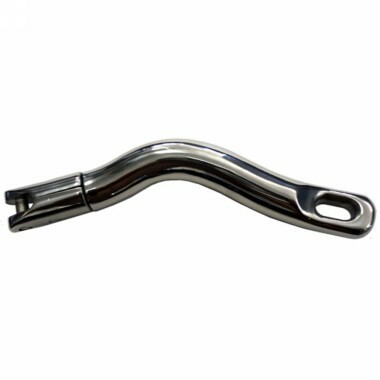 Anchor Connector Easy Swivel Stainless Steel. This unique swivel anchor connector is designed in such a way that it will turn the anchor into the correct position when lifting on a bow roller. One end has a swivel and the other is bent with an eye to fix to the anchor.